The number of human-bear conflicts are drastically rising in Europe. While the numbers of bears seem to be increasing, the available space to live is becoming smaller and smaller. 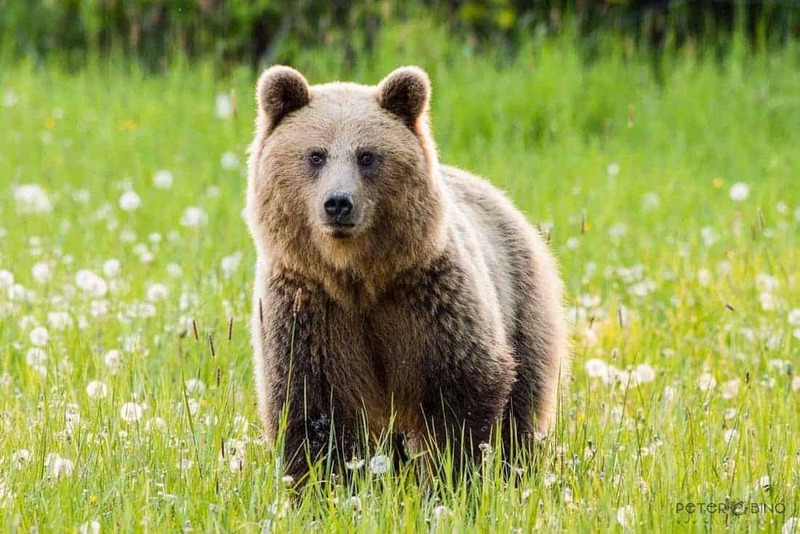 In countries like Romania, which has the largest numbers of bears of all European countries, bears are entering urban areas more often in search of food. The increase in human-bear problems results in bigger protests of the local people. They use it as an excuse to demand for shooting of bears, and currently some governments even allow culling to some extent! People shoot hundreds of bears every year, illegally or under the excuse of their nuisance. Now, it is proven these people are wrong, terribly wrong. A six-year study on human-bear conflicts in Colorado shows that there is something else happening. Increased human-bear conflict does not mean that the number of bears is growing, rather that bears are adapting to the benefits urban areas provide them. As the number of hunting licenses are partly based on the human-bear conflicts, these numbers are overestimated and pose a threat the the survival of a healthy population. The study also proves how bears do not become reliable on food sources in urban areas. The claim that bear become conditioned to eat only food from the cities, is thus also incorrect. As explained in our post on the Romain bear-problems, the bears are coming to the cities to feed and boost their weight only in absence of their regular food sources. The deforestation in combination with weather changes caused by climate overheating is a major reason for the food shortage for bears. But the study shows how the bears switch back to forest-food as soon as they become available. It shows how 80% of the bear population entered the city Durango during a dry summer with a shortage of natural food sources, without becoming addicted to human food. Only 15% of them came back to the city, but use it not as their only food-source and typically only to offset the lack of natural food like berries, ants and small insects. The bear still prefers to get its food in the forest, where humans don’t bother it. The climate overheating also contributes to the increased human-bear conflicts. The rising temperatures result in less soil moisture and less plant productivity – which leads to less favourable conditions for the bears. The climate overheating also shortens the hibernating time, a 1.8 degree increase already led a reduction of seven days hibernating time. When the bears are hibernating less, the bears are longer active and increase the chance of human-bear conflicts. Bears can smell food from about 2km distance. A city must smell like a true food-festival to hungry bears. They quickly memorise and adapt to available food-sources. Knowing the risk, but also the benefits, it is often the hunger that is driving the bears into human settlement. Simple protection measures, like bear-proof trashcans, can greatly reduce the number of conflicts.